The European Research Journal (EuRJ) is an international, independent, double-blind peer reviewed, Open Access and online publishing journal, which aims to publish papers on all the related areas of basic and clinical medicine. Editorial Board of the European Research Journal complies with the criteria of the International Council of Medical Journal Editors (ICMJE), the World Association of Medical Editors (WAME), and Committee on Publication Ethics (COPE). The journal publishes a variety of manuscripts including original research, case reports, invited review articles, technical reports, how-to-do it and letters to the editor. 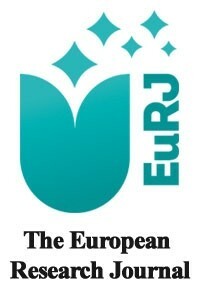 The European Research Journal has signed the declaration of the Budapest Open Access Initiative. All articles are detected for similarity or plagiarism. Publication language is English. The journal does not charge any article submission or processing charges. EuRJ recommends that all of our authors obtain their own ORCID identifier which will be included on their article. The journal is published bimonthly (January, March, May, July, September, and November). Are we familiar with this rare indicative of a higher risk for breast cancer?